Organizations are now more concerned than ever regarding the security and availability of their data. Whether it’s ACH File Transfer Fraud or Ransomware attacks, business owners and IT Professionals need to ensure that the appropriate steps are being taken to mitigate these risks. 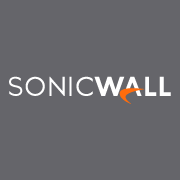 Oxygen in partnership with Sonicwall is now offering a SonicWall SWARM Evaluation Assessment. The SonicWall Application Risk Management (SWARM) is an assessment that helps customers identify real-time vulnerabilities and network threats. This valuable tool will enable you to see how your currently installed legacy firewall is performing and what threats it is letting through. The report generated will not only show potential vulnerabilities but also potentially identify bottlenecks inside your network which can be remediated to help increase the overall performance of your network resources. If you are interested in receiving this service, please contact your Oxygen Account Executive or email sales@oxygentechnical.com.